Infor Rolls Out Infor CRM to their Channel Partners - Dynamic Enterprise Technologies, Inc. If you had an doubt about how serious Infor is about their CRM product, they have just replaced several legacy partner support systems with Infor CRM. All Infor Channel Partners across all Infor product lines will start using the new system on May 22nd. This represents thousands of users who will be utilizing Infor CRM as a collaboration portal to track customer information, Opportunities and create software quotes using the Infor CPQ product which is embedded with Infor CRM. 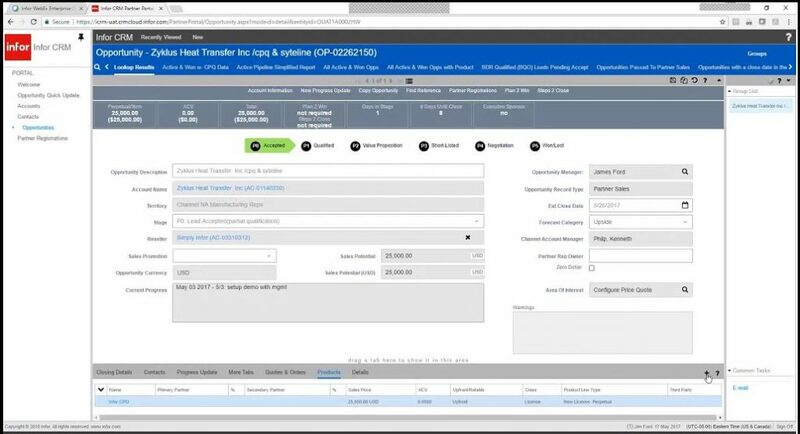 The Infor CRM platform was used to create many custom features and data entry screens that support the unique requirements of a channel partner community.